There are plusses and minuses to the lacking regulation of herbal products. If they were regulated as stringently as pharmaceuticals, they would never make it to market because the cost to do so would be prohibitive. The reason for this consequence is that it typically requires a large investment to meet federal or state mandates. The only conceivable way to gain a return on such a sum is to monopolize your product; and a monopoly only comes effectively by way of a patent. Herbs in their raw or natural form cannot be patented. Therefore, they would attract zero seed money to continue their production. So the benefit of the moderate regulations currently standing, is that herbs are still accessible. However, the disadvantage of the present state is that herbs are so accessible as to allow prescription (self-, or otherwise) without credentials. There are occasionally media and institutional attacks on the safety of the supplement industry, including herbs—much of it sensational. This is not entirely unfounded because there are case studies of liver, kidney and heart failures as a result of taking some herbs. An alert was recently reissued for Aristolochia, which can cause kidney failure or cancer. The FDA had issued a customs alert to stop the import of aristolochic acid products (including Aristolochia, Bragantia and Asarum genera—plural of genus) in 2000. They had also issued a consumer safety alert in 2001, although neither of the toxicity alerts were formally adopted by law. There are real health risks in taking some herbs. But there are also greater health benefits to the large herbal pharmacopeia available to us. While I feel that stricter regulations can be counterproductive—in light of most herbs being safe—I hope to allay your concerns about the general state of affairs. Be honest with yourself. While it may be difficult to gauge your own level of knowledge, if you are informed on health and medicine by pop-culture magazines, mass media, brand labels, or your Facebook friends… then be wary of your ability to choose a proper herbal supplement. This is not to say that you cannot self-educate. Just be discriminate, whether or not that’s politically correct. It is harder to be honest with yourself than to be critical of others. So if you have mastered the previous advice, it should be easier to judge the credentials of self-styled herb experts. Talk with whoever is giving you advice. Gauge their credentials. Ask questions. Trust your gut, otherwise you may end up sacrificing it. Most herbs are safe, if taken in reasonable dosages. 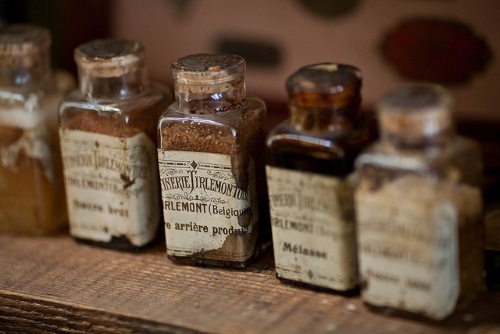 If you are interested in taking herbal supplements, seek a trusted source. For there are herbalists out there with valuable clinical experience and a wealth of knowledge. These herbs are effective for treating illness, and their toxic effects can be countered by controlling their dosage and combining them with other herbs. However, I do not use or prescribe them, for there is a plethora of alternatives. Besides, in the States, these herbs are hard to find.